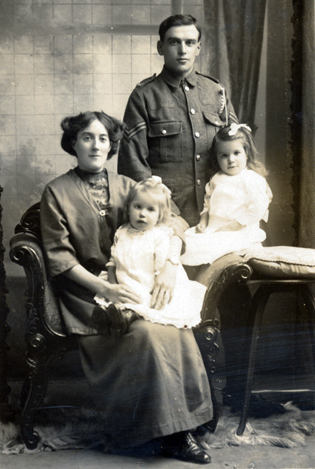 F446 Unnamed soldier and family, Wakefields Studio, Ealing. 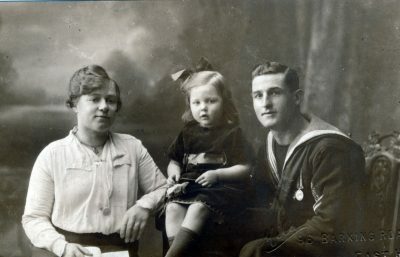 F445 Unnamed sailor, wife and daughter, Milo Studio, East Ham. 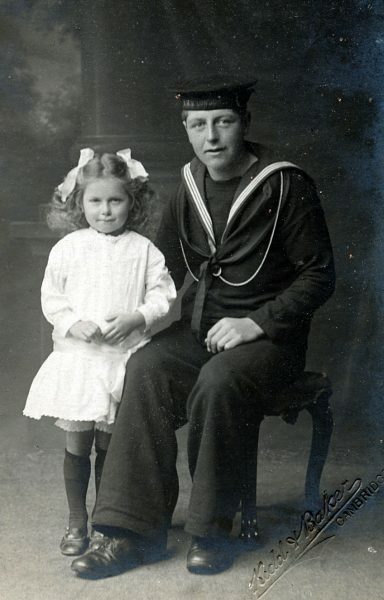 F432 Unnamed sailor, H.M.S. 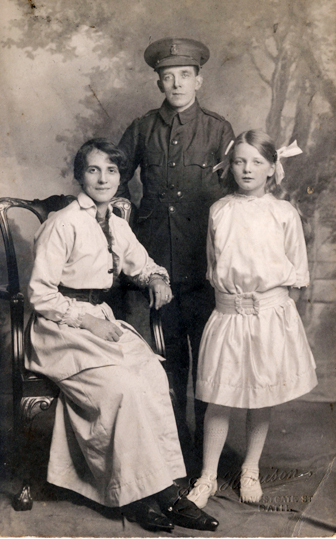 London, and daughter, Kidd Baker Studio, Cambridge. 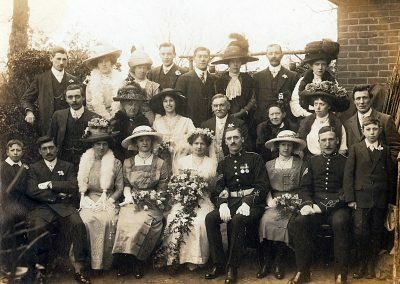 F430 Wedding photograph of Sergeant Major Frank Albert Rogers and Maud, with best-man Sergeant Thomas Griffin, Royal Artillery (front row). Courtesy of Ian Rogers. 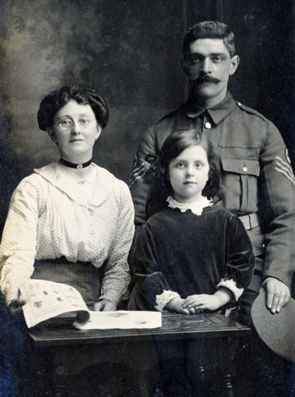 F428 Unnamed soldier and family, February 1915. 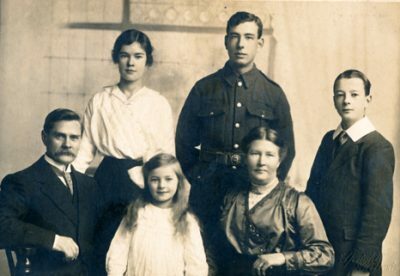 U274 Unnamed group with J. Doble, sixth row, centre. Parkins Studio, Lewisham. 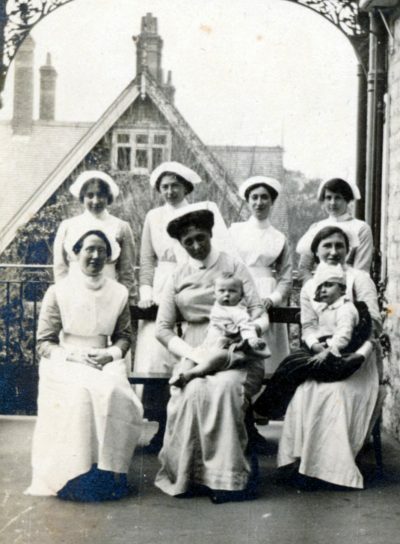 W285 Nurses and babies, Dorset County Hospital. 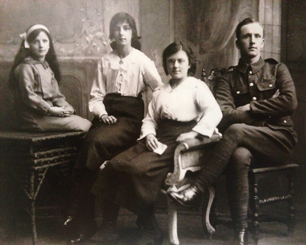 F434 Unnamed soldier, lady and sisters. 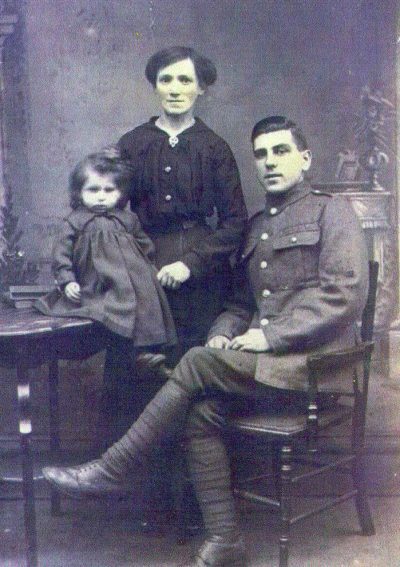 F435 Unnamed soldier, wife and daughter. 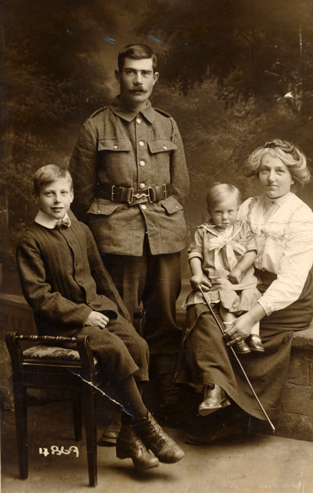 F425 George Gibson, Royal Artillery, and family. Courtesy of Martyn Hordern. 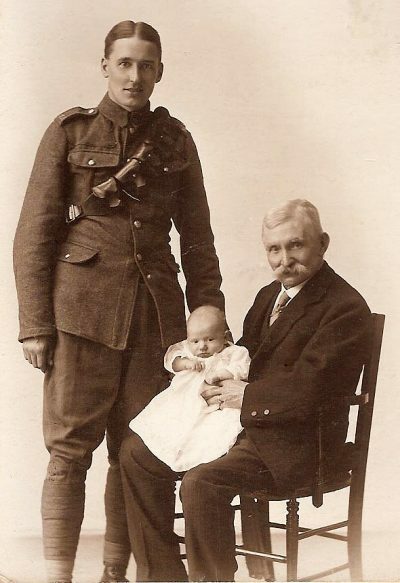 F423 John Robinson Leng, 409 Siege Battery, Royal Garrison Artillery, father and child. Courtesy of Debby Bartlett. 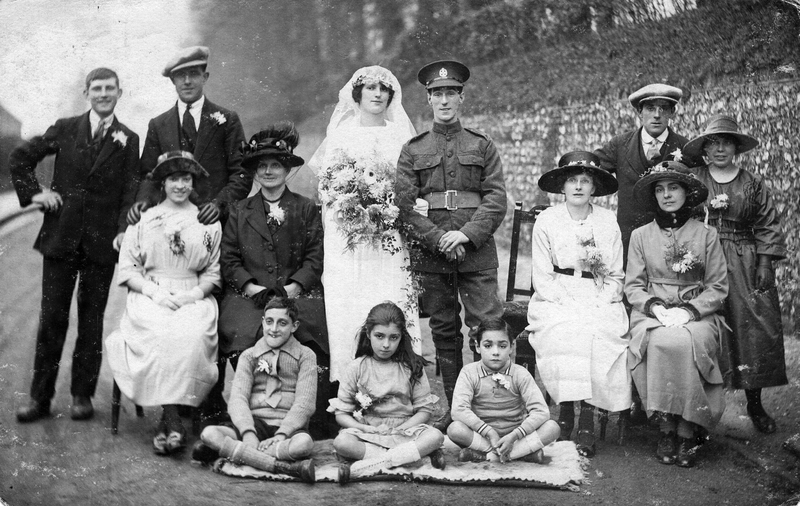 F422 Wedding of unnamed soldier, Rifle Brigade. Courtesy of Kelvin Dakin. 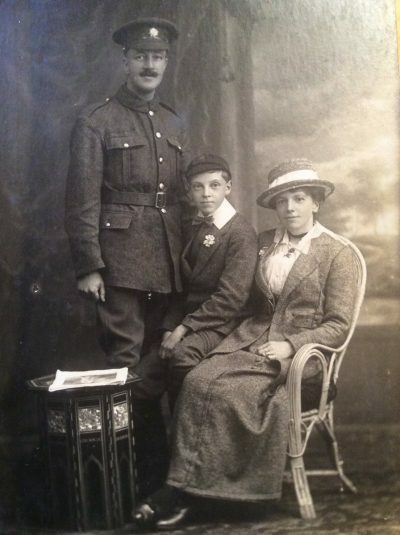 F419 John Allen, bell ringer at Brampton, 7th Battalion, The Queen’s (Royal West Surrey Regiment), died 20 September 1918, with Elsie, John and Alfred. Courtesy of Big Ideas. 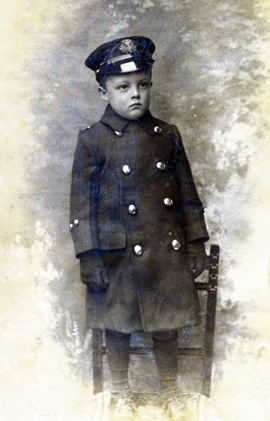 F418 Young boy with R.A.F. cap. 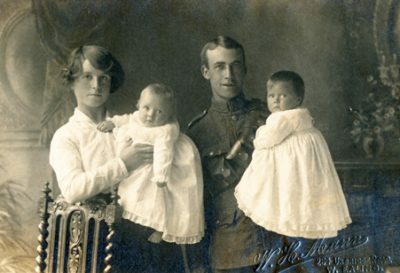 F417 Unnamed soldier, wife and twins, W.H. 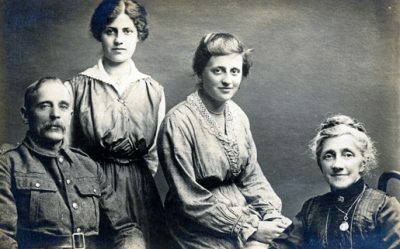 Mann Studio, Ealing. 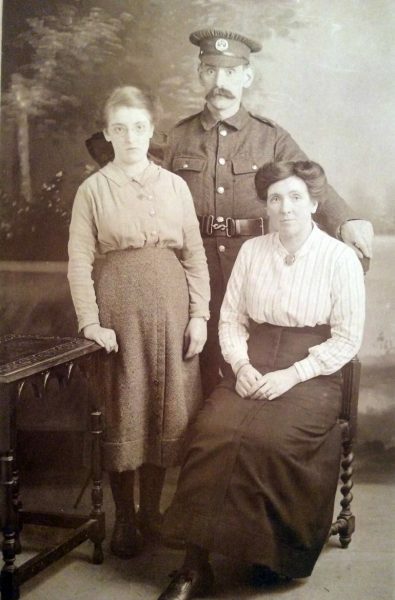 F414 Unnamed soldier and ladies. 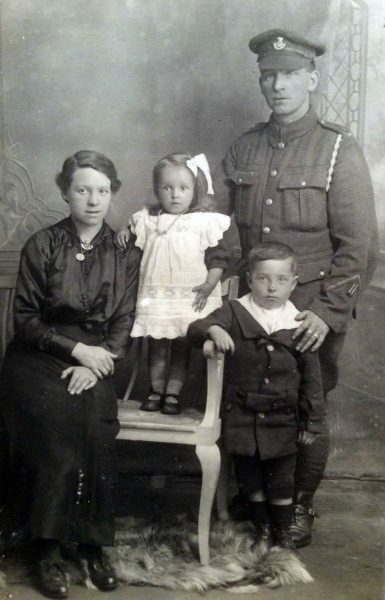 F436 Soldier and family. Courtesy of Paul Hughes. 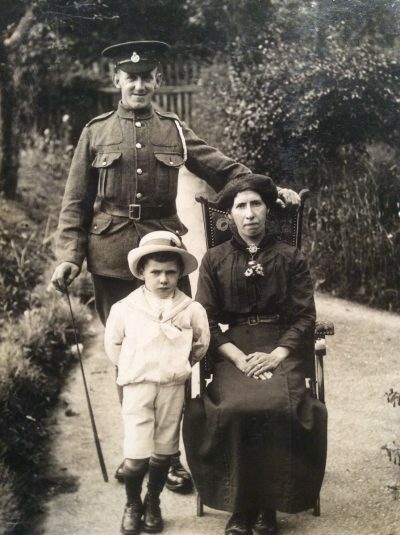 F425 Stretcher-bearer and family. Courtesy of Paul Hughes. 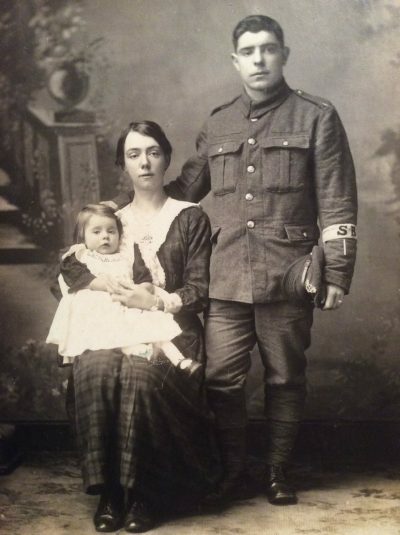 F437 Unnamed soldier South Lancashire Regiment, wife and child. Courtesy of Paul Hughes. 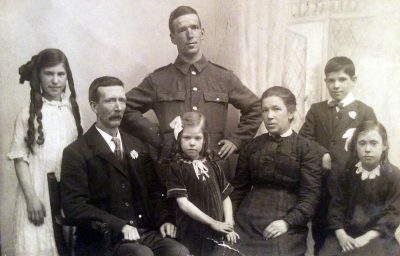 F424 Unnamed soldier and family. Courtesy of Paul Hughes. 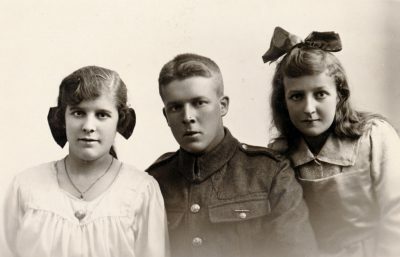 F421 Unnamed soldier and family. Courtesy of Paul Hughes. 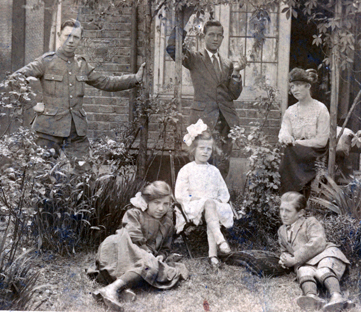 F420 Unnamed soldier and family, Southampton. Courtesy of Paul Hughes. F419 Unnamed soldier and family. Courtesy of Paul Hughes. 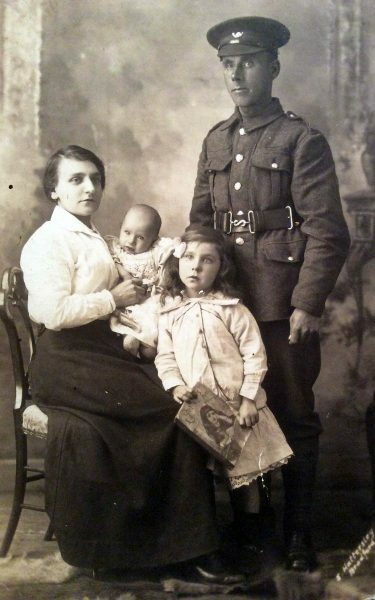 F418 Unnamed soldier and family. Courtesy of Paul Hughes. 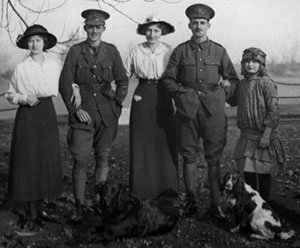 F412 Unnamed soldier, Army Cyclist Corps, wife and daughter, S.S. Harrison Studio, Bath. 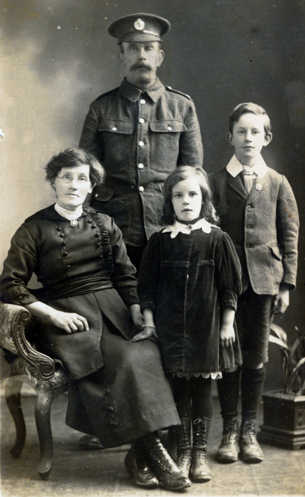 F411 Mr. and Mrs. Kelly and Doris of Knotty Ash, Liverpool, March 1919. 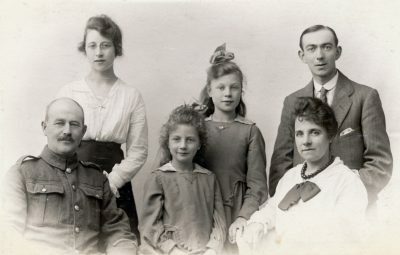 F410 Unnamed soldier, wife and children, Brown and Co., Royal Studio, Weston-Super-Mare. 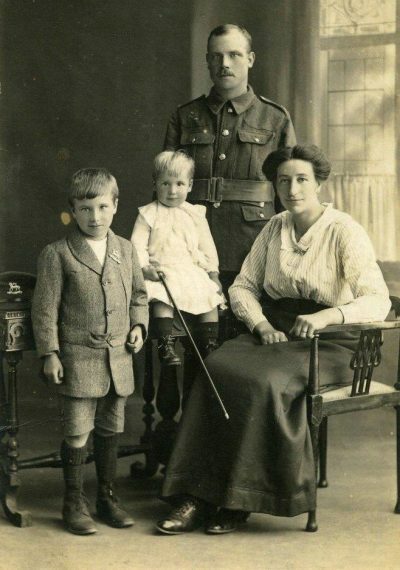 F409 Royal Engineer, wife and children. 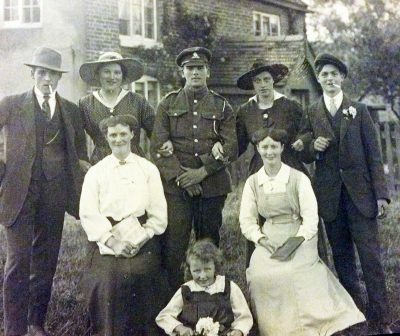 F406 John Vardy, Royal Engineers, wife, Fanny (standing behind), and family. Courtesy of John Needham. 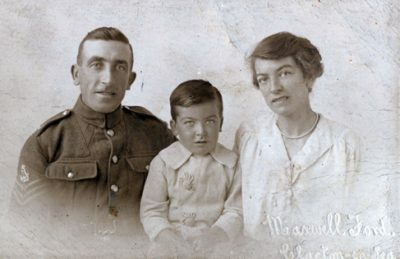 F407 Unknown soldier, wife and son. 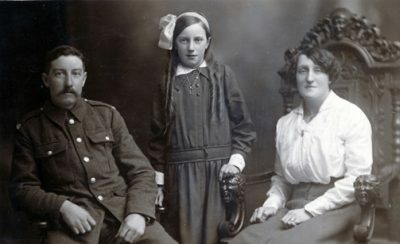 F404 Unnamed corporal, wife and daughters. 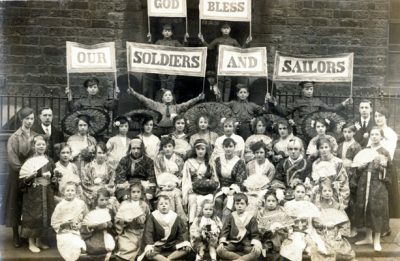 F403 Soldier and family at home. 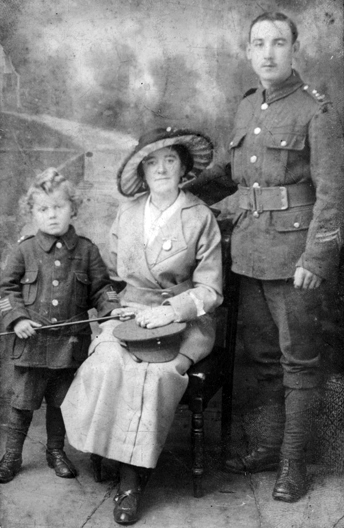 F402 Unnamed sergeant, wife and son, Maxwell Ford studio, Clacton-on-Sea. 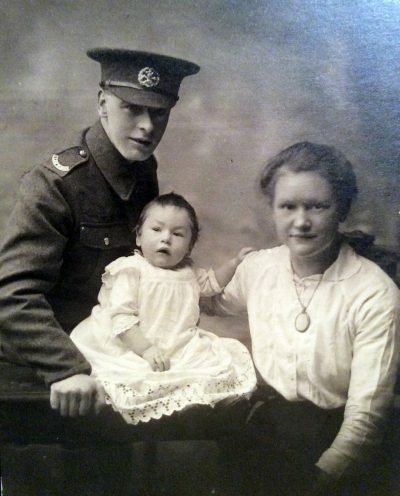 F399 Royal Army Medical Corps sergeant, wife and daughter. 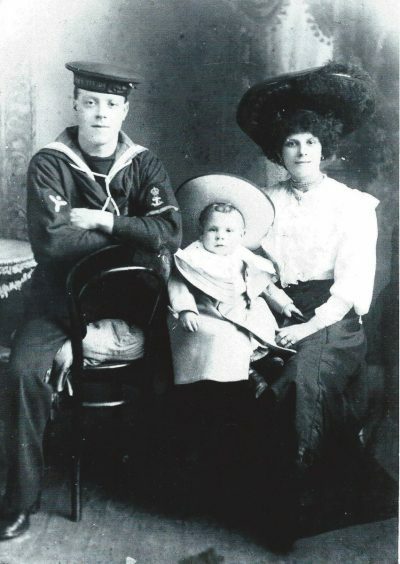 F394 John William Lewis, R.N., Chief Stoker aboard H.M.S. Strongbow when the ship was destroyed by two German cruisers on 17th October 1917. Remembered at the Chatham Naval Memorial. Courtesy of Poppy Tonbridge. 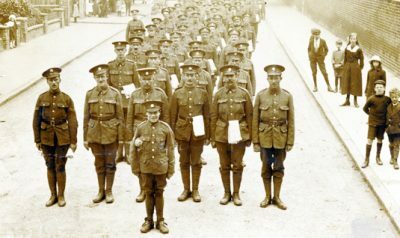 F393 Joseph Shepherd, King’s Liverpool Regiment & Labour Corps. Courtesy of Kate Shepherd. 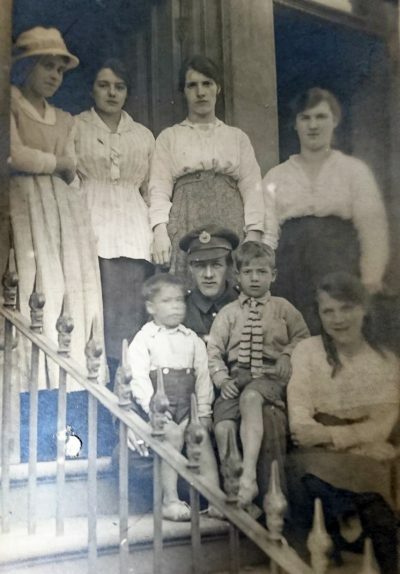 F392 William Fyfe, Army Service Corps and Black Watch, and family. Courtesy of David Coffey.